Mr. Latham’s practice is concentrated in the areas of commercial and residential real estate development, as well as in commercial and environmental litigation. He has an extensive background in the applicability of environmental regulations to land use planning. He has also represented many professionals in the negotiation of employment and other practice-related agreements and in the dissolution of professional organizations. Mr. Latham has a broad background in several areas of environmental law, including the regulation of hazardous and solid wastes and the remediation of Brownfields properties. He has served as special counsel to many Long Island municipalities on a variety of environmental and land use matters and has represented municipalities as well as the private sector in negotiations involving the privatization of municipal services. Since 1993, he has served as special counsel to the City of Glen Cove on a number of projects, including its redevelopment of the Glen Cove waterfront. He has also served as special counsel to the City of Long Beach in the closure of its MSW incinerator and the remediation of hazardous waste at that site. As special counsel to the City of Glen Cove, Mr. Latham negotiated a precedent-setting Prospective Purchaser Agreement (PPA) with USEPA for the acquisition of two superfund sites by the City’s Industrial Development Agency. Those sites are now the focal point of Glen Cove’s $500 million waterfront redevelopment. Mr. Latham has been an adjunct faculty member at Williams College, where he received a B.A. degree in 1971. He received a Juris Doctorate from Fordham University in 1977. 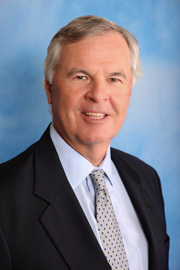 Mr. Latham is a former chairman of the Environmental Law Committee of the Suffolk County Bar Association.